In 1676, Sir Isaac Newton famously wrote in a letter to philosopher Robert Hooke, "If I have seen further it is by standing on ye shoulders of Giants." By the time he died, Newton had become science's greatest giant, and every scientist who has followed him has stood on his shoulders. Newton is widely considered the most influential scientist in history, best known for the discovery of gravity and the subsequent laws of motion that he theorized. Schoolchildren around the world are still taught the famous legend about an apple falling on Newton's head, but that colorful story and the preoccupation with Newton's work in physics tend to make people forget Newton's work in other fields. Using empirical studies, Newton developed theories about light prisms, how matter cools, and even tried studying and calculating the speed of sound. And those are just the sciences; Newton also helped develop several mathematical fields, including calculus. 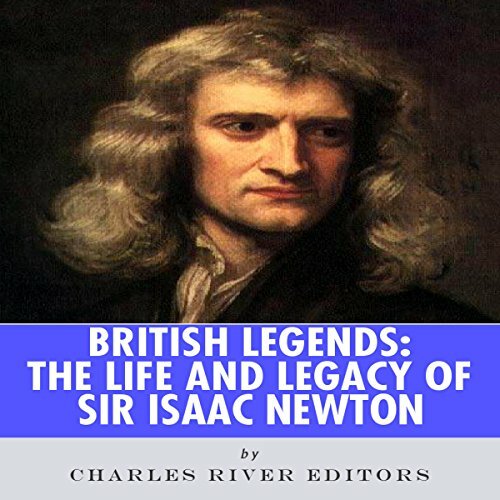 British Legends: The Life and Legacy of Sir Isaac Newton chronicles the amazing life and legacy of a man whose work helped propel the Scientific Revolution and modern physics, but it also humanizes him and looks at his non-scientific work as well.